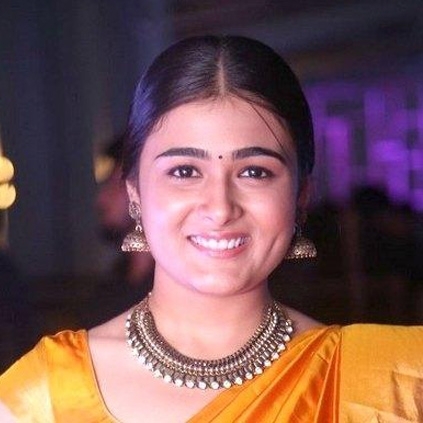 After the raging success of Arjun Reddy, the heroine Shalini Pandey was praised for her realistic performance throughout the film. It was also said that she has been receiving a good amount of offers from all the industries down south. The latest we hear is that she was approached to play the lead alongside GV Prakash's upcoming remake of the Telugu hit film, 100% love. The Tamil version is titled as 100% Kadhal, and it was said to have Lavanya Tripathi as the lead heroine. But apparently, owing to date clashes, Lavanya had to step out of the project, paving the way in for Shalini. It is going to be interesting to see the chemistry between Shalini and GV Prakash! THE ‘ARJUN REDDY’ PAIR IS BACK FOR THIS BIG KEERTHY SURESH FILM! We had reported earlier that, Nag Ashwin’s film which happens to be the Savithri biopic said to be titled Nadigayar Thilagam in Tamil and Mahanati in Telugu, has Keerthy Suresh reprising the role of Savithri. Also part of the cast are Samantha, Dulquer Salmaan and Arjun Reddy fame Vijay Deverakonda. The latest is that, the actress Shalini Pandey of Arjun Reddy might also play a role in this Savithri biopic. If this gets a positive confirmation, the Arjun Reddy pair of Vijay Deverakonda and Shalini will be back for this big biopic film by Nag Ashwin. However, an official word from the team is still awaited. It is said that, Shalini Pandey has been flooded with offers from Tamil and Telugu makers but is apparently taking it slow to do something positive, following her breakthrough film Arjun Reddy. People looking for online information on 100 Percent Kadhal, GV Prakash Kumar, Shalini Pandey will find this news story useful.